A donor virtual machine is not encrypted. A standalone backup of the existing virtual machine is created. It's required if something goes wrong during the conversion, e.g. power surge, kernel panic, unpredictable restart caused by third-party program interactions. The file system of a donor virtual machine doesn't contain errors. Use chkdsk for Windows virtual machines and First Aid for macOS/OSX virtual machines. If the file system of a donor virtual machine contains errors the resulting virtual machine will automatically inherit them and it could render the virtual machine unusable. To begin with, they aren't needed in a Parallels Desktop virtual machine because Parallels Desktop provides its own assembly of drivers called Parallels Tools and additionally, the presence of third-party drivers (included in additions/tools) may cause issues when launching converted virtual machine. Start Parallels Desktop and from the top menu bar select File - Open. Then navigate to a donor virtual machine location using Finder dialogue window and select its virtual hard disk. 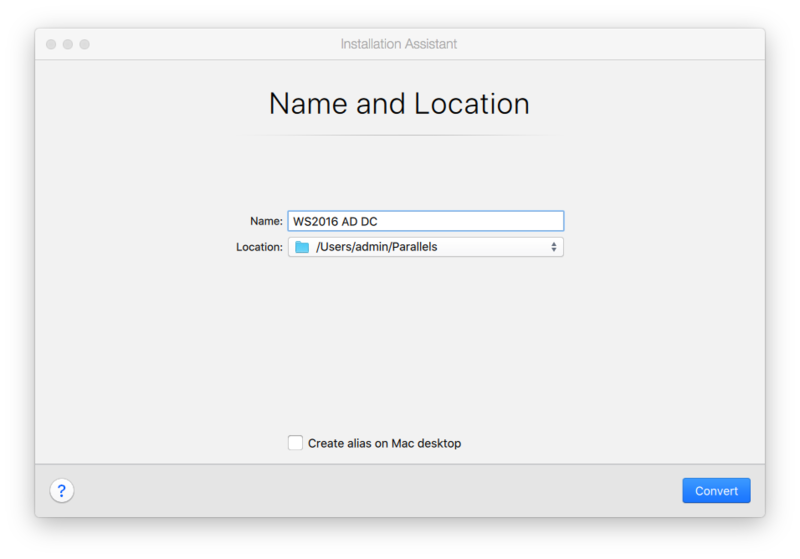 As a result, the Installation Assistant window will appear allowing to choose the resulting virtual machine location and its name. As a result of pressing Convert button the following dialogue window will appear displaying conversion process progress. 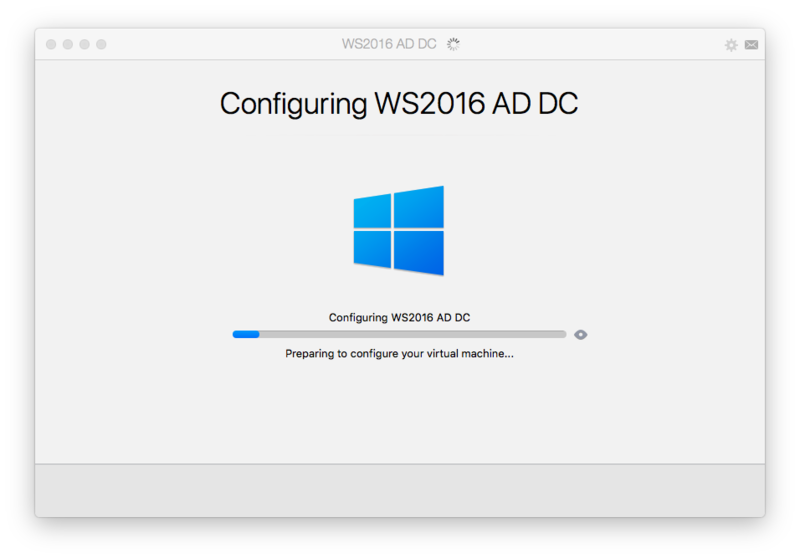 After the conversion of the virtual hard disk is finished, Parallels Desktop will begin configuring the converted virtual machine. e.
Once the configuration process is finished, the converted virtual machine will boot. After log in to the virtual machine, Parallels Tools will be automatically installed. 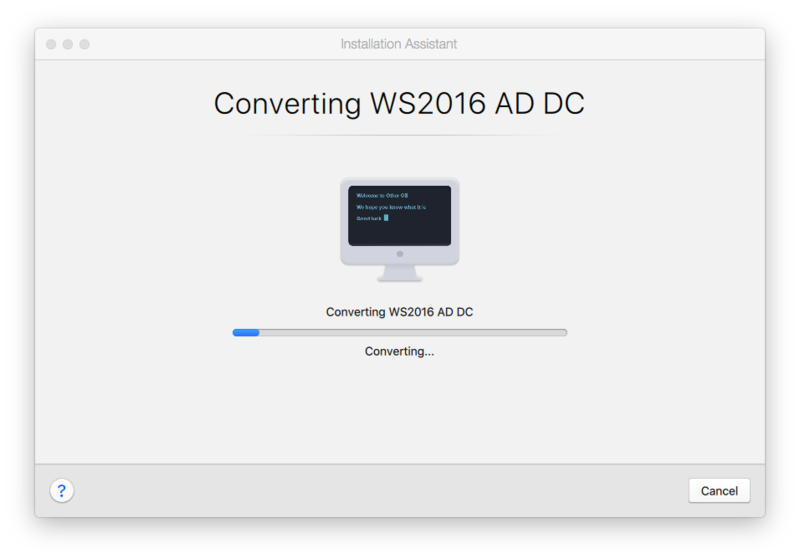 If automatic Parallels Tools installation hasn't occurred, install them manually by using the top menu bar Actions - Install Parallels Tools menu. With Parallels Tools installed the converted virtual machine becomes a fully functional Parallels Desktop virtual machine.